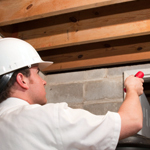 At Coyne Pest Control, we provide thorough inside and outside inspection and service for our residential customers. Each service is customized to the customer’s needs. If your home has an existing infestation, we will provide monthly service until the problem is resolved and then switch you to a quarterly service that will protect your home from future invasions, and reduce your monthly costs. 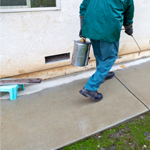 At Coyne Pest Control, we provide inside and outside inspection and service for your business. We service anything from your small private retail shop to the largest industrial factories and warehouses. Restaurants and food handling establishment are done on a monthly basis, all others can be serviced monthly or quarterly, according to your needs. Either way, our service is always guaranteed. At Coyne Pest Control, we protect your home from rodents using safe, secure rodent boxes around the exterior of your home. The bait needs to be inspected and changed to insure its effectiveness, so we require this to be a weekly, bi-monthly, or monthly service. We will trap and remove existing rodents from inside your home, find the entry points, and consult with you, the owner, on how you would like the problem resolved. At Coyne Pest Control, we provide interior and exterior rodent protection for your large or small business. 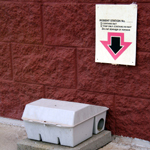 We use only safe and secure rodent bait boxes that we service on a weekly, bi-monthly or monthly basis. We are experienced in the required record keeping for food handling establishments; we will meet all federal and state regulations, provide the log book and keep accurate records of any and all activity in and around your facility. Mosquitoes need seven to ten days of standing water to go from egg to adult. With your cooperation, we can eliminate the standing water while treating any permanent water sources with a larvacide that is safe for fish,birds and other wildlife. We also fog your yard for adult mosquitoes. We highly recommend that this be done on a monthly basis to keep mosquito populations to a minimum. We treat April through September and we offer a 5% discount if you pay for the whole summer in advance. At Coyne Pest Control, we protect your home or structure from subterranean termites with a thorough inspection and spot treatment(s) if and where any active termite activity is found. We will install and monitor the Advance Termite Baiting System according to the manufacture’s specifications. We will monitor the stations every 90 days, baiting any termites found, eliminating the entire termite colony, and thus, preventing termites from entering your home or structure. Each year, upon renewal of your contract, an inspection will be conducted to assess the structure, and we will continue to monitor the stations on a quarterly basis. It is important for customers to know that the mere installation of termite stations does nothing to eliminate termites. Any baiting system is only as good as the technician monitoring the stations on a regular basis. We will locate and monitor each and every station every time, and replace any damaged or missing stations to assure there are no gaps in the barrier around your home or structure. 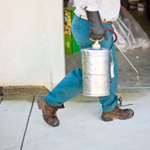 We also provide other services such as, flea sprays, yard sprays, moisture barriers, automatic temp-vent installations, exclusions, and Borate treatments for new construction.